I see how much masculinity has been weakened in Europe. Most of the men now have a feminine approach, and it’s a huge paradox. It seems that a lot of women, they talk about men, they want them to be emasculated and domesticated. But they prefer, actually, more masculine men in terms of what they point to when they explain what they would be attracted to. I think that the “#MeToo” movement has a potential to change our culture, where masculinity will be erased from the surface. And that future is very scary. Can you imagine what a world it would be without masculinity? #MeToo started with actresses, harassed by Hollywood producer Harvey Weinstein. One actress came out and told her story, then suddenly more and more women started telling their harassment stories till it all becomes a movement. On my program, I’ve been talking with a lot of women who had this experience. Of course, men should treat women properly, respect and be gentlemen. But I don’t really think that this movement is only about protecting women against harassment. Now it turned into an orchestrated attack on masculinity in general because it fits with a certain political agenda – Feminism. Feminism is also a tool of Cultural Marxism because Feminists want a kind of social revolution. Just think about Donald Trump’s election: the women accused him of being sexist. It was already building up. I think that the #MeToo movement is just a natural consequence of feminism trying to take over. 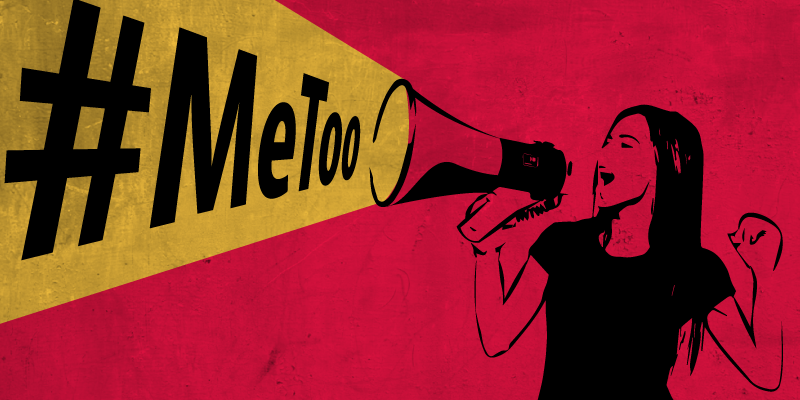 The big problem about #MeToo is that the accusation of harassment is the only thing that matters. I have been talking a lot about that on my program, and I even had a law professor in my studio. She has been very concerned about this because now the #MeToo movement has the potential to create its own laws. It means that they can remove (silence/punish) any man just by accusing him. Our civil society is disintegrating because of these women. So I think people should understand that this movement is essentially gaining the power. Their goal is to remove and execute as a class the white heterosexual male, who is the icon of Christian culture and who has the actual power now. It’s very important to understand that this is actually more a political battle than a struggle for women’s rights. Women should decide what they really want. If we talking about Hollywood actresses – they should decide what price they are willing to pay for their career. We know a lot of cases when women used their attractiveness to seduce men because they wanted to achieve some goals. But some of these women suddenly decided that they don’t want to go any further and change their minds. But they had already accepted some kind of harassment. As a woman, you have to take some responsibility. If something happens that is beyond your control – you should go to the police immediately and not wait for 10 years like some actresses did. If you feel that something wrong is going during a meeting – just leave. You should say out loud that you are not willing to participate. You shouldn’t hide it.